The VA recently released its proposed changes to the VASRD for ratings of the Genitourinary System, the details of which can be found in our blog post. While most of the changes are intended to make the ratings criteria clearer and fairer, we anticipate that one section will be more controversial than the rest—the ratings for erectile dysfunction (ED), code 7522. Currently, erectile dysfunction caused by deformity is rated 20%, but under the proposed changes, erectile dysfunction, for any reason, would be rated 0%. The basic idea behind all VA disability is to compensate veterans for the inability to work and make money because of their service-connected condition. This is the principle that guides all rating decisions—Does the condition decrease the veteran’s ability to work? 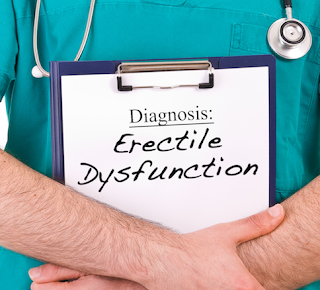 If this change is officially made, erectile dysfunction will not be the only condition rated 0% even though it is clearly a medical condition and disability by definition. For example, currently, the ratings for the eyes grant a 0% if contacts or glasses are able to fully correct a veteran’s vision. So even though the veteran can’t see across the room without their glasses (a clear disability), they aren’t compensated since it can be corrected and they can presumably still work just fine. Now even though ED would only be rated 0%, this 0% rating, as opposed to no rating at all, is an important distinction. A 0% rating means that the VA recognizes it as a service-connected condition. As such, it could still qualify for Special Monthly Compensation, Category K (SMC-K). SMC-K provides a small amount of compensation for the loss of use of a creative organ. So if the erectile dysfunction effectively makes the veteran infertile, he would qualify for SMC-K.
Also, because the condition is considered service-connected, any conditions that it causes (“secondary conditions”) would also be eligible for compensation. So if the veteran developed depression because of his ED (a very common symptom), it would qualify for compensation. Depression is a condition that can definitely interfere with the ability of a veteran to properly function in his daily life and earn a living. So, even though the ED itself would only be rated 0%, any condition that it causes that interferes with the veterans ability to work, would still qualify. While it is still unknown whether or not this change will officially be made, the VA has made a distinct stand on the issue of infertility with this proposal. In 2016, when the VA published their proposed changes to the ratings for the Female Reproductive System, there was a significant push from female veterans claiming that they should receive compensation for sexual dysfunction since the men receive it for erectile dysfunction. This proposed change would seem to indicate that the VA is no longer going to consider any type of sexual dysfunction, regardless of gender, as a ratable condition. If this change goes into effect, it is not clear in the proposal whether or not veterans who have already been awarded a disability rating for ED will retain that benefit. Historically, ratings, once given, have often not been reduced or taken away when changes like this have been made. Sometimes, however, a rating that is being eliminated because of new changes to the VASRD will have a definite end-date for current beneficiaries. We will not know what the ruling will be in the case of erectile dysfunction until the VA publishes the final regulation in its entirety. For all proposed changes, the VA grants a period of time when we can give feedback. How do you feel about eliminating the rating for ED? Check out our blog post about the changes and let us know your thoughts. I am a veteran & the (sexual dysfuntion) is an ailment that I just submitted for a few weeks ago. I feel like it definitely has changed my sexual/intimate situations over the yrs. since I discharged from active duty summer of 2012. I had never previously submitted for it, until the other day. I have 70% rated PTSD & I absolutely know that it has played a part in my sexual drive & in the gear I use to enjoy what we all enjoy. Now that will be just one of the many illnesses I am reaching for, eventho it's only 0% I am still gonna get reach for what I deserve. That is very imp. for any man & plays a part in depression I've experienced 1st hand! Thanks for sharing. It's definitely an issue in a person's life, even if it doesn't directly affect employment. has destroyed my intimate relations. Being denied the joy of intimacy plays with your selfesteem and ego in ways that reach to all areas of your life. Every measure to aid veterans to feel whole should be extended. Not considering the whole of the person is shifting responsibility to avoid compensating those that have served. My wife asked me to get help a few times for it and I have not. I find it too embarrassing to ask. Now she left me not long ago. My depression has increased even more. I don't know how to ask for help. Sorry to hear what you're going through. I know it is hard, but the first step toward recovery is to make an appointment with a urologist. There may be ways to help you with your condition, and having a urologist perform an examination will help get you some answers and treatment options. There is hope, you just have to take that first step and meet with a urologist. I am a mental Veteran %70 paid at %100. Because of certain medication s due to PTSD\MST, I cannot perform or satisfy my partner, wife, or have a sexual experience at all because of this condition. My quality of life is definitely affected by E.D. and this is secondary to PTSD effects. I have been diagnosed with E.D. and it is a humiliating situation in my lifestyle that angers and depresses me at the same time because I cannot perform. Definitely makes a man feel like less than he is when his (equipment) doesn't work. Good Luck, Fellas. I hit my head on a T38 in 1983. Got hit in the head and got stitches. Have no memory of the accident or how I got to the ER. Left a 1/4 inch dent in my skull. Had mild headaches that have gotten worse dizzy and nauseous. Light and sound sensitive Add to that ED. Possibly. It's tricky because after a traumatic incident, the headaches would usually be present regularly. If your medical records do not show consistent presence of headaches since the original incident in 1983, then the medical record doesn't really show evidence that the two are connected, even with the neurologist's statement. But, it is worth a shot to appeal. Maybe with this statement and sufficient evidence of record, it will be enough to win the appeal. I am 70% PTSD and currently in a 90 PTSD treatment facility (VA),I was told by a VA rep in Dec.2018,that I qualified for the special pay for ED,He told me it was from my mental health meds and that I will receive a 0 rating,but that I am awarded the SMC.I have not heard from the VA,and wonder if there is some truth to this. Yes, if you submit a claim for ED secondary to your PTSD treatments, the VA will most likely grant it as long as you submit sufficient evidence of the ED cause. It is also correct that ED is rated 0%, but qualifies for SMC-K. I was rated at 0% for ED attributable to testicular failure/Low T - Hypogonadism but was specifically denied SMC K. Not sure why -- wasn't explained. Only thing I can think of was that I am able to have erection with help of medication and I am able to achieve ejaculate with that assistance? I don't remember filling out that DBQ prior to my C and P exam. I feel this decision is rater dependent and if I had a different rater I would have gotten the SMC K? Thoughts? SMC-K is only awarded for complete loss of use. If with medication you are still able to function, then that does not count as loss of use.